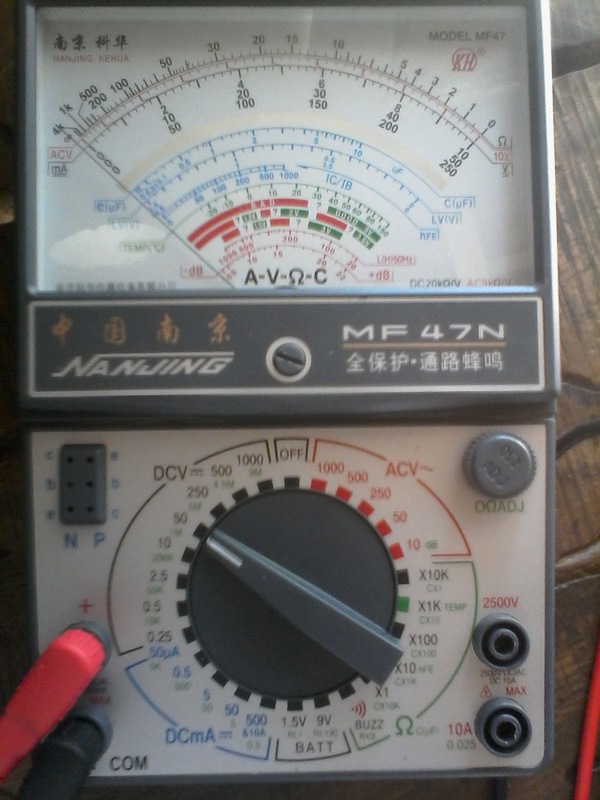 Today you will learn how to test battery with multimeter , as you know that a multi meter is an testing device or meter which we use for multi testing, but as you know that battery are numbering in those electric devices which have a history and and which we use more then other devices. In daily life we use batteries in our cars , we use in our mobile phones and laptops etc. There are different types and shapes of batteries. Some we use for high load and some we use for low load. Some batteries are big in size and some are Small. But the batteries have a life and expiring date, for example we use batteries with inverter / UPS for emergency power supply. A high quality brand batter work very well with an inverter for 2 years. A car battery have also a time of life, some batteries work for 1 years and some are work for 2 to 3 years. However the better life is depend on the quality and it's type. 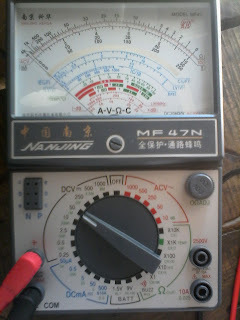 Today i am writing about how test batter with multimeter. In the post you will learn the testing of batter by using the analog- and digital multi meter. 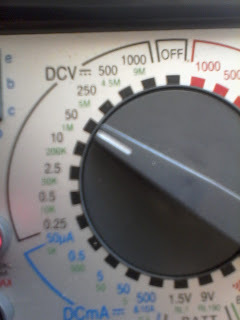 The testing of batter with multi meter is too simple and easy, you can easily test you battery with multi meter by setting the multi meter knob on DC volts. But note that if your testing an 12 volts battery then set the knob on option which is design for 1 volts to 12 volts or higher. 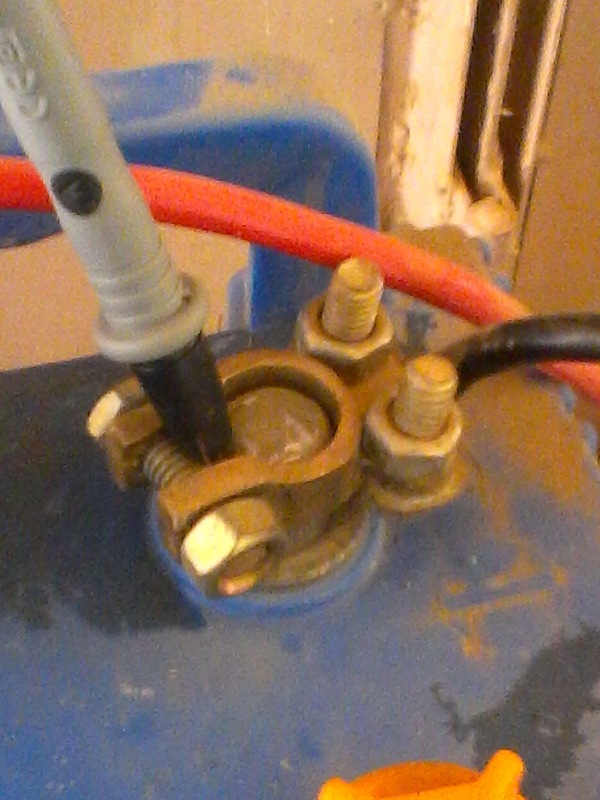 i.e if your are testing an mobile batter of 3.7 volts then you can set your multi meter on 5 DC volts or 10 volts testing option. But this is only for the analog multi meter. In digital you have some option like 10, 50, 200, 600 DC (direct current) volts etc. 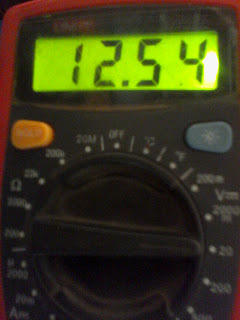 So if your are testing a better of 12 volts the you can use the 20 or 50 volts option in your digital multi meter. Now come to the step one if your are testing a battery which is 12 volts then you can easily test your battery by using an analog or digital multi meter. 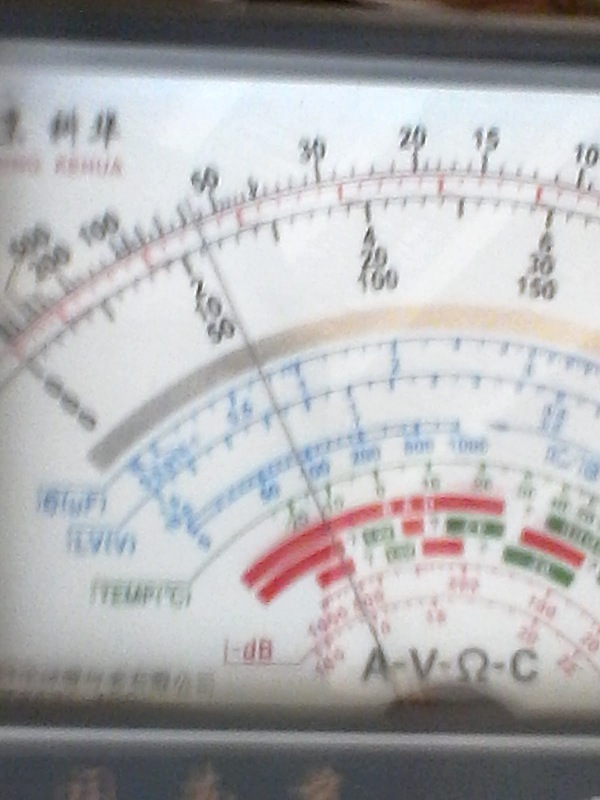 You need a multi meter in which DC volts testing option available. Now set your multi meter knob on DC volts testing. Connect multi meter red lead to the positive terminal of battery and black lead to the negative terminal. Now if the meter shown 12 volts then your battery is good contention-, however the better checking method is that to test your battery during using time . 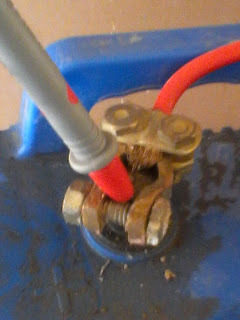 My mean connect a 12 volt fan to battery (a car engine coaling fan) now test your battery, now if your battery volts reading or 11.8 or 11.9 or steel reading are 12 volts then it's means that your battery working state is good or it's is a good battery. 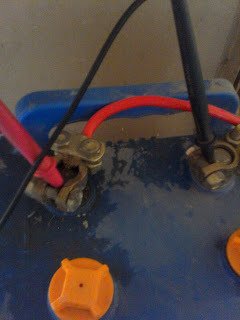 And if the battery shown 5 or 6 volts and your fan are also running slow then charge your battery and after fully charge. Check it again if it's shown the same problem or have a short- backup then it's mean that your battery life is over and this batter is not good working state. The better option to change this battery. Do follow the same method which i told in my above words and which i shown in the below diagram. In the above test battery with multimeter diagram, i only shown the method of testing battery with a digital multi meter, and i shown a car battery testing. I set the meter knob on 20 volts range and i check a car batter which is 12 volts but you can also check your mobile battery by using 20 volts option in digital multi-meter. So the above diagram i shown how testing a car battery using digital multi meter . Now come to do it piratically. First of all set your meter on DCV or DC voltage testing. As i shown in the below image. 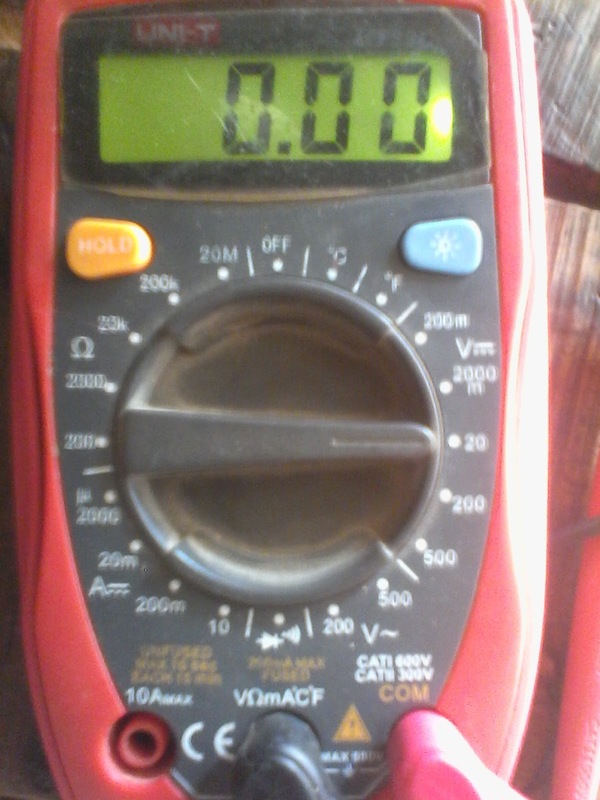 Now connect the negative lead to the negative terminal of batter and positive (red lead) to the positive terminal as i shown in the below image of testing battery by using digital meter. The testing and setting method of both meters are same, First of all set your meter on DC V testing and then connect the black lead to batter negative terminal and red lead to the positive terminal of battery. 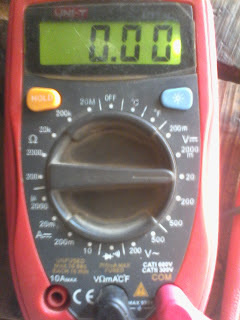 As i shown in below images test batter with multimeter. Step 2 connect meter leads to battery as i shown below. The testing of a mobile battery is also same just like a testing of a car battery however IN SHA ALLAH i will write about the testing of an mobile battery in my incoming posts. Now i hope you lean about test battery with multimeter , however if you have any question regarding the post then ask me in below comment section.